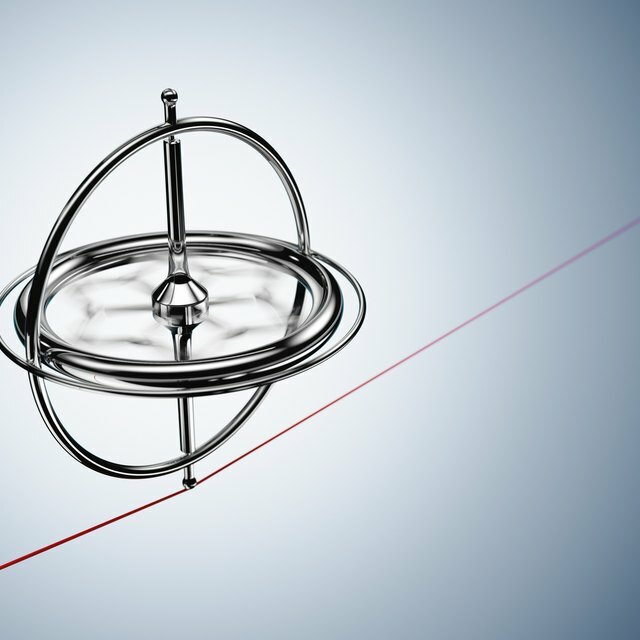 Gyroscopes may seem to behave in a very odd manner but a study of their underlying physics shows that they react to the external world in very logical and predictable ways. The key to understanding gyroscopes is understanding the concept of angular momentum . This is similar to its linear counterpart but with some notable differences. Linear momentum is well understood by most people. An object that is moving tends to keep doing so with the same direction and speed unless it is acted upon by an outside force. When this happens, the speed or direction change in an intuitive way. Angular momentum is similar but the vector representing its direction is aligned with the spin axis. When a force acts on a spinning object it acts on this vector just as it would in a linear case. The difference is that the resulting momentum change is not in the direction of the force but at right angles to both it and the momentum vector. Any spinning object will take on gyroscopic characteristics but the effect is accentuated if the object is made with more mass that is concentrated further from the spin axis. This gives the spinning object more angular momentum. The most efficient gyroscope designs use a heavier and more concentrated mass that is balanced about a low friction pivot point. The primary quality of a gyroscope is that it is stable. Once a gryo is spun, it tends to remain in the same orientation and any force applied to reorient the spin axis is met with a resistive force. This is known as conservation of angular momentum. Just as a speeding car tends to continue on its path unless an overwhelming force changes its momentum, a spinning top tries to keep spinning with its axis oriented in the same direction. Gyroscopes are used extensively as instruments in inertial reference devices. They can be found in airplanes, missiles and satellites. Gyroscopic effects are also found in more common objects. They are responsible for the stability of a moving bicycle and a spinning yo-yo. The most unique characteristic of a gyroscope is precession, which gives the device its apparent ability to defy gravity. The motion that counteracts any force that tries to realign the spin axis is directed so that the gyro remains upright. Instead of falling over from the force of gravity, it rights itself by moving sideways. What Are the Types of Momentum? Patton, Don. "Simple Explanation of How Gyroscopes Work." 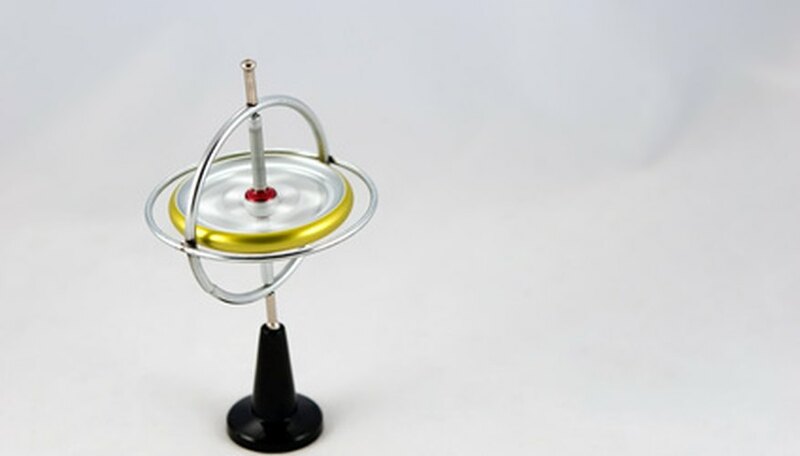 Sciencing, https://sciencing.com/simple-explanation-gyroscopes-work-6133912.html. 24 April 2017.